Wondering how to pick the right carpet rug for your commercial space? Office carpets have evolved dramatically from what they used to be. Today, you can find them in several attractive colours and patterns others than the traditional grey and brown. There are many other factors that you need to consider when choosing a commercial carpet. Does the rug support the type of business? Does the carpet enhance the decor of the commercial space? Is the rug durable enough to sustain high foot traffic? Will the carpet fit the current budget and at the time of replacement? Is the carpet easy and cost-effective to maintain? Before buying a carpet rug, you need to assess whether or not it is suitable for the kind of work done in the commercial space. You may need to look into the fire rating if you run a hotel or restaurant business in Sydney. Many commercial areas have kitchens with gas connection, so you may want to look for a carpet that reduces smoke in case of a fire breakout. Other important things that determine the suitability of carpet rugs in commercial spaces are wet areas, high traffic, rolling traffic, light vehicles, areas exposed to chemicals, weather conditions, etc. In the past, commercial carpets offered limited choices and rarely added to the decor. However, times have changed and you can buy attractive carpet rugs that enhance the professional appearance of your business. Consider the amount of foot traffic when choosing a colour because light colours can show soiling and dark ones may make lint visible. So, choose a colour that is not too light or dark for the commercial space. Business carpets see significantly more foot traffic than house rugs, so you need to ensure that it is durable enough to take a lot of beating. The best way to determine the durability of a carpet is by measuring it to the Australian Carpet Classification Scheme (ACCS). It is a grading system to show how well your carpet performs in independent wear and performance tests. Commercial carpets in Australia carry a rating out of four stars. A commercial carpet should be affordable and meet the requirements of your business. While you should not compromise with quality to save money, it is important to work around a realistic budget when buying a commercial carpet. If budget is not a constraint, you may consider buying the premium wool or woven carpets that add to the decor. It can also add to your business’s prestigious reputation. For more affordable options, look for the carpets made with high-quality polypropylene material. 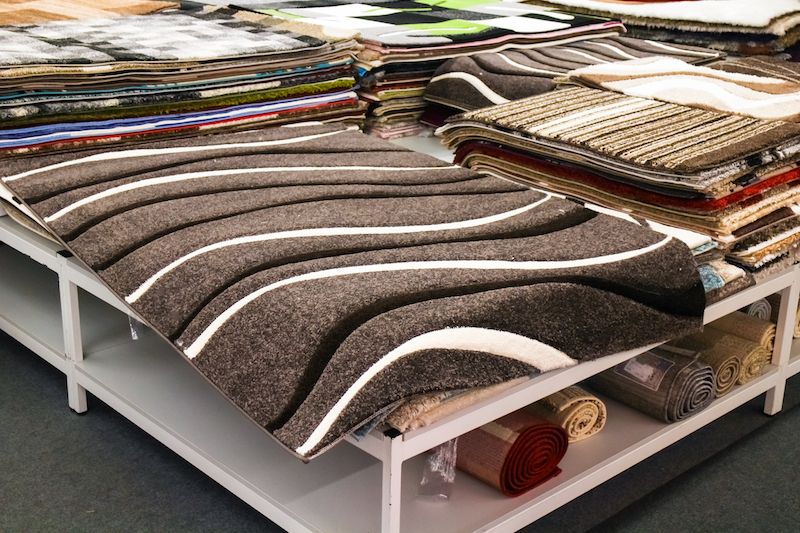 A commercial carpet should be easy to maintain, so consider this factor before buying a rug. There are materials that require more maintenance than others. For example, a wool/woven carpet is attractive but difficult to maintain, while a dyed nylon carpet is ordinary looking but easy to clean. Where To Look For Commercial Carpet Cleaning Services? If you are looking for a commercial cleaning business in Sydney, contact Evolve Cleaning. We have been helping businesses maintain a clean and healthy environment for over 30 years. You can rely on our professional team of cleaners to take the stress out of maintaining and cleaning commercial carpet rugs. Please do not hesitate to contact us on 8313 7035, our friendly and attentive staff members are more than happy to talk to you about your cleaning needs. We also have a wide range of commercial cleaning services that we will be happy to discuss to you about.